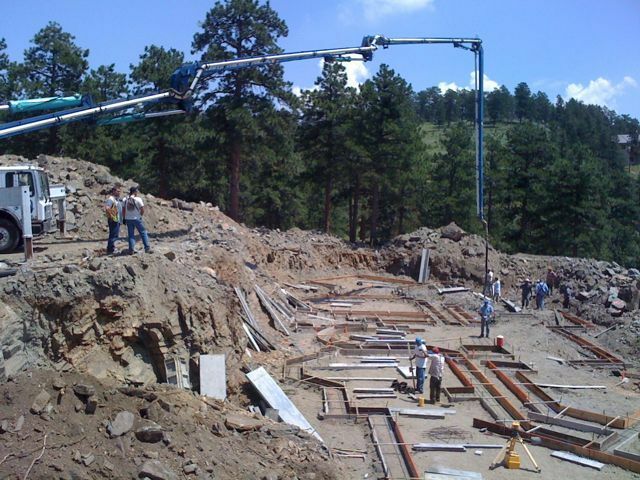 It was great weather today for a footing Pour at the Silver Rock Manor, a new custom luxury home we designed in Evergreen. The foundation contractor, Lee Mardesen with Mardesen Construction Co did an excellent job with the layout and attended to every detail that we specified. We will keep the blog updated with the progress of this exciting project as construction continues.